Please check the nearest Chlorine Free Pools in Philadelphia (Pennsylvania) (Pennsylvania) or Contact us to ADD IT. It's free of charge! The greatest Chlorine Free Pools in Philadelphia (Pennsylvania) (Pennsylvania) are located primarily in large cities but it's also common to discover public pools in rural areas. Please make contact with the facilities to check which activities are offering and their timetables. Swimia.com demands your feedback to ensure all the facts is valid, since perhaps this pool is no longer open towards the public. Regular users told us the most important thing of swimming would be to manage your breathing. To acquire this, our head must be aligned with our spine all the time. 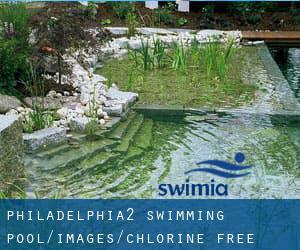 These would be the Chlorine Free Pools in Philadelphia (Pennsylvania) (Pennsylvania) other users have reported. Are you a local and your pool isn't listed? Contact us to ADD IT. It's free! Updated on 2019 29119 Margarita Road , Temecula , CA , USA (Postal Code: 92591). This sports center gives 25 yards, 6 lanes, Salt Water, Non-Chlorine Sanitized, Outdoors. For this Pool, only phone number is number here. Updated on 2019 Harvey West Park , 275 Harvey West Blvd. , Santa Cruz , CA , USA (Postal Code: 95060). Among all the activities offered by the center, for anybody who is enthusiastic about swimming you can expect to get pleasure from 25 yards, Non-Chlorine Sanitized, Outdoors. Just in case you want to get in touch with this Pool before dropping by, we only know the phone number. Updated on 2019 1776 Terminal Dr. , Richland , WA , USA (Postal Code: 99354). Few days ago a frequent user of this center told us they offer 25 meters x 28 feet, 4 lanes, Salt Water, Non-Chlorine Sanitized, Indoors. Furthermore, they keep in good conditions 25 meters x 35 feet, 5 lanes, Indoor/Outdoor. For this Pool, only phone number is number here. Updated on 2019 1 Main Street , The Village at Grand Park , Fraser , CO , USA (Postal Code: 80442). This sports center offers 25 yards, 4 lanes, Non-Chlorine Sanitized, Indoors. Contact knowledge for this Pool similar to phone number and email address are number. Updated on 2019 College of Southern Maryland PE Building , La Plata , MD , USA (Postal Code: 20646). Swimmers like you reported 25 yards, 6 lanes, 3 feet - 12 feet depth, Non-Chlorine Sanitized, Indoors. Unfortunately we do not have the e-mail address of this Swimming Pool, but we can provide you with the phone number. 350 South Dahlia St. , Denver , CO , USA (Postal Code: 80246). Few days ago a regular user of this center told us they offer 25 yards, 6 lanes, Outdoors. Furthermore, they keep in good conditions 20 yards, Salt Water, Non-Chlorine Sanitized, Indoors. For this Swimming Pool, only phone number is number here. 3455 E. Zoo Court , Tucson , AZ , USA (Postal Code: 85716). Swimmers like you reported 25 yards, 4 lanes, Non-Chlorine Sanitized, Outdoors. Unfortunately we do not have the e-mail address of this Swimming Pool, but we can give you the phone number. Updated on 2019 1025 NW Gilman Blvd, Suite E-8 , Issaquah , WA , USA (Postal Code: 98027). This sports center provides 25 yardsm, 5 lanes, Salt Water, Non-Chlorine Sanitized, Indoors. Contact knowledge for this Swimming Pool just like phone number and email address are number. Updated on 2019 7956 178th Pl. N.E. , Redmond , WA , USA (Postal Code: 98052). Among all the activities supplied by the center, should you be interested in swimming you may delight in 25 yards, 5 lanes, Salt Water, Non-Chlorine Sanitized, Indoors. If you need to contact this Swimming Pool, email address and phone number are both number. Updated on 2019 580 Cherry Valley Road (Route 11A) , Gilford , NH , USA (Postal Code: 03249). This sports center provides 25 yards, 4 lanes, Salt Water, Non-Chlorine Sanitized, Indoors. For this Swimming Pool, only phone number is number here. Updated on 2019 6699 Bay Laurel Place , Avila Beach , CA , USA (Postal Code: 93424). Among all the activities offered by the center, for anyone who is interested in swimming you will appreciate 25 yards, 6 lanes, Non-Chlorine Sanitized, Outdoors. If you must make contact with this Swimming Pool, email address and phone number are both number. Updated on 2019 9 Main Street , Vineyard Haven , Martha´s Vineyard , MA , USA (Postal Code: 02568). Among all the activities supplied by the center, for anybody who is thinking about swimming you will enjoy 25 yards x 21 feet, 3 lanes (circle swimming), 3 feet - 9 feet depth, Non-Chlorine Sanitized, Indoors. If you will need to contact this Pool, email address and phone number are both number.